Trendy does not even begin to accurately describe this lodging, located in Midtown-South, New York City. The clients of this industrial townhouse wanted to stick with their modern theme and uphold their attention to minimalism. Still, even minimalists need window treatments. 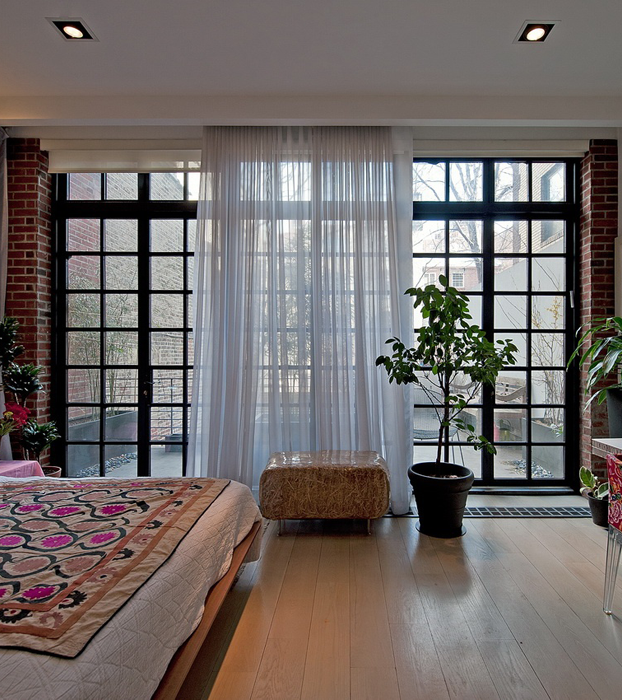 Instead of covering up the gold and glory that is this townhouse, Vogue Window Fashions aimed to bring the outside in. They concentrated on letting as much natural light into the space as possible by installing ripplefold style sheers. 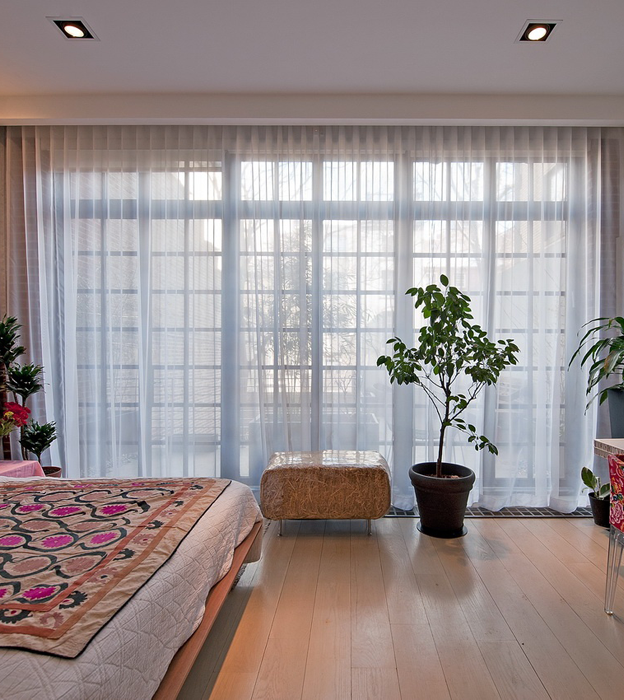 Vogue's decision to go with soft white sheers for the color palette let the rest of the room take center stage.